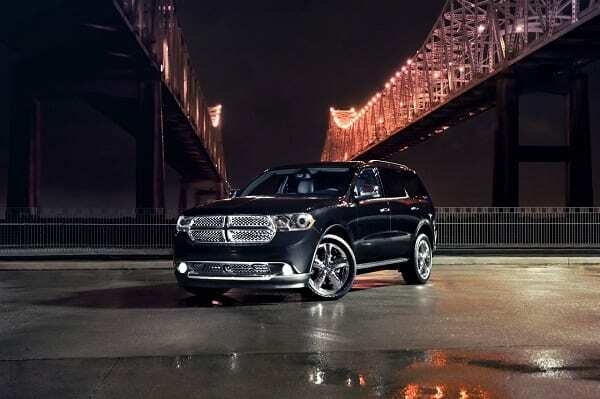 Chrysler is recalling nearly 1,700 Dodge Durango SUVs because the rear side air bags may not work in a crash. The company says in documents posted Thursday on the National Highway Traffic Safety Administration website that some 2013 Durangos may have been built with the wrong air bag control module. So if there’s a crash behind the second-row seat, the air bags may not inflate correctly. Chrysler said it knows of no crashes or injuries from the problem. The Durangos were built from April 11 through July 20 of last year. The company says the control module for five-passenger vehicles was installed in the seven-passenger Durangos. Chrysler says it will notify owners and replace the module free of charge beginning next month. The recall affects vehicles in the U.S., Canada and overseas. Chrysler says most of the recalled Durangos are still on dealer lots. This entry was posted on August 16th 2012 at 2:57pm/14:57 and is filed under Live News Column 1. You can follow any responses to this entry through the RSS 2.0 feed.